the year 2016 was not only the beginning year of the decisive stage for China to complete the task of building a modestly prosperous society,but also the crucial year for the promotion of the supply-side structural reform.Under the leadership of the Central Committee of the Communist Party of China(CPC) and the State Council,the financial system strengthened and improved macroeconomic management,comprehensively deepened financial reform and opening-up,and effectively prevented financial risks,which created a favorable monetary and financial environment for stabilizing growth and carrying out the supply-side structural reform. Strengthening and Improving Macroeconomic Management,with the Sound Monetary Policy Better Targeted and More Effective In 2016,the world economy maintained an overall trend of recovery.However,uncertainties in the international political and economic arenas heightened further,and populism,anti-globalization,trade protectionism and investment protectionism were on the rise;the Chinese economy stabilized amid a slowdown and turned for the better,but the structural mismatches were still prominent,and the economy was still facing inadequate endogenous growth drivers.The macroeconomic management became more difficult due to the complex and changeable domestic and international economic and financial situations,various superimposed contradictions,and converged potential risks. Under such circumstances,by firmly implementing the strategic policy decision made by the CPC Central Committee and the State Council of stabilizing growth,adjusting structure and preventing risks by relying on reform and innovation instead of using the method of “flooding the cash” to stimulate the economy,the PBC proactively adapted to the new normal in economic development,maintained a prudent and sound monetary policy focusing especially on the pace,strength,and mix of policy tools in light of the evolving situation,to maintain appropriate liquidity.The PBC comprehensively adopted a series of monetary policy instruments,including targeted reserve requirementratio cuts,Pledged Supplement Lending(PSL),and central-bank lending for small enterprises and for poverty alleviation,to optimize the credit structure for supporting the development of the real economy.To further improve the macro-prudential policy framework,the PBC upgraded the dynamic adjustment mechanism of the differentiated required reserve to a Macro-Prudential Assessment(MPA) system.Full coverage of macro-prudential regulation of cross-border financing was implemented across the country to manage more financial activities and financial conducts.The counter-cyclical adjustment was implemented to prevent systemic risks.Transformation of the monetary policy framework was promoted,and the leveraging role of interest rate and exchange rate prices was brought into full play. 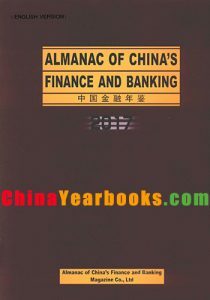 In general,the sound monetary policy has yielded expected regulation results,with moderate growth of money,credit,and all-system financing aggregates,stable interest rates,a basically stable Renminbi exchange rate against a basket of currencies and increased flexibility of the bilateral Renminbi and the U.S.dollar exchange rate. Providing Financial Services for the Development of the Real Economy to Fully Support the Supply-side Structural Reform and Key National Development Strategies The PBC,the CBRC,the CSRC,the CIRC and other ministries jointly issued the Several Opinions on Providing Financial Support to the Industry in its Effort to Stabilize Growth,Adjust Structure and Increase Efficiency in a bid to provide financial support for the industrial supply-side structural reform.The creditors’ committee system was established and promoted to explore a variety of flexible and effective debt disposal methods.The PBC made concerted efforts to provide financial services to reduce capacity in the steel and coal industries and to bring about a smooth corporate debt financing transition in these industries.By closely focusing on the orientation of “housing is for living in not for speculation”,the PBC introduced the differentiated housing credit policy to promote the destocking of the real estate industry.The PBC carried out debt-equity swaps in a market-oriented manner and in compliance with the law to effectively promote deleveraging.It properly expanded corporate bond financing,and firmly promoted reduction of costs by lowering financial service charges.The PBC further carry forward the financial aid for targeted poverty alleviation and financial inclusion development,promoted financial support for the weak points in the economy and for economic development and social stability in the poverty-stricken and economically-backward regions,so as to shore up weak spots with great efforts. To meet the financing demand of the major strategic decisions of the state,the PBC provided more targeted and high value-added comprehensive financial services for the implementation of the “Belt and Road” Initiative,the growth of the Yangtze River economic belt,and the collaborative development of the Beijing-Tianjin-Hebei region and so on.The PBC mainly focused on supporting the key projects which serve as a driving force for the macro-economy and regional economy,such as renovation of shantytowns,major water conservancy projects,and railway and highway construction in the middle and western regions and so on.The PBC actively supported the “Made in China 2025″strategy,the transformation and upgrading of traditional industries,and the development of emerging industries with strategic importance and other key areas.The development of financial inclusion was accelerated by setting up a pilot reform zone for financial inclusion in Lankao County of Henan Province,so as to actively explore an innovative,coordinated,green,open and shared development model for the financial inclusion.The PBC made great efforts to develop the green finance,and through innovative green financial products and institutional arrangements,it guided and encouraged more private capital to be invested into the green industries,so as to promote the economic transformation and upgrading. Deepening the Financial Reform and Opening-up to Stimulate the Development Vitality and Dynamism of the Financial Industry The financial reforms in key areas and critical links of the financial sector were deepened,and the financial system has been increasingly improved.The PBC continued to thoroughly promote the market-based reforms of the Renminbi interest rates and exchange rates,further improved the central bank interest-rate adjustment framework,fostered the benchmark interest-rate system for the financial market,and continuously improved the self-regulatory mechanism for market interest-rate pricing.The PBC clarified the Renminbi/U.S.dollar central parity formation mechanism,namely “the previous closing rate+the exchange-rate movements of a basket of currencies”.The mechanism struck a balance between market supply and demand,the stability of the Renminbi exchange rate against a basket of currencies,and market expectations.It was also more rule-based,transparent,and market-oriented.Deepening of the reforms of financial institutions continued,with the corporate governance mechanism and business management system becoming increasingly modern and international,private banks developed in a steady pace,and the organizational structure system of the financial industry was further improved.Reforms of regional finance and financial inclusion were further promoted,and a green finance policy framework was established initially.The top-down systemic design of the commercial paper market was introduced,a centralized national commercial paper trading platform was put into service,and the Shanghai Commercial Paper Exchange was established. New progress was made in the Renminbi internationalization and the two-way opening up of the financial markets,China’s influence in the arena of governance of international finance has been enhancing.Renminbi was officially included in the SDR basket,which not only represented an important milestone in the Renminbi internationalization,but also an important step for China’s integration into the global financial system.The two-way opening up of the financial markets developed steadily,and more qualified foreign institutional investors were allowed to access into the interbank bond market,and the investment quotas were removed.On the basis of improving the Shanghai-Hong Kong Stock Connect program,the Shenzhen-Hong Kong Stock Connect program was launched,facilitating connectivity between the stock markets in Shanghai,Shenzhen and Hong Kong.Under its G20 presidency,China successfully held the G20 Hangzhou Summit,the PBC guided discussions on major global macroeconomic policies,reached important summit results on topics such as macroeconomic policy coordination,improving the international financial architecture,promoting financial sector reforms,and developing financial inclusion and green finance,which combined China’s philosophy and perspectives with global macroeconomic and financial governance. Effectively Preventing Financial Risks to Firmly Safeguard the Bottom-line in Terms of Preventing Systemic Financial Risks The prevention of financial risks is an eternal theme of financial work,especially under the circumstances of the increased downward pressure on the international and domestic economy and the increased spillover of the international financial crisis,the cyclical,structural and institutional contradictions in the domestic economy are superimposed with a trend of easy and frequent occurrence of financial risks,and the financial system has paid more attention to the prevention of risks. As a leading agency,by making overall arrangements to coordinate the CBRC,the CSRC and the CIRC,the PBC focused on preventing and mitigating financial risks in key areas.It improved regulatory arrangements for cross-market and cross-sector financial services and various comprehensive businesses,worked on formulating normative standards for asset management businesses,and organized and conducted a special rectification campaign on Internet financing risks.A differentiated risk-based premium mechanism was introduced in deposit insurance,an assessment of deposit insurance risks was carried out and the rating results were applied,and relevant research was conducted to improve risk recognition and an early rectification mechanism for the deposit insurance system was implemented in a bid to strengthen positive incentives.Default risks in the bond market were mitigated and resolved in an active manner and the interests of bond investors were protected. The financial regulation authorities conducted strict and comprehensive regulation and supervision according to law.The CBRC strengthened regulation of credit risks in key areas such as local government financing platform,real estate and excess capacity,investigated and punished violations of relevant regulations and rules such as the “downpayment lending” and “fake mortgage loans”,and it also explored market-based and diversified disposal of non-performing loans of financial institutions.The CSRC steadily and orderly regulated the use of excessively leveraged funds in the stock market and continued to clean up illegal margin financing,and organized targeted enforcement activities against such market misconducts as IPO frauds,market manipulation,and front running schemes,promoting the capital markets to stabilize through self-recovery.The CIRC formally launched the regulatory mechanism of China Risk Oriented Solvency System(C-ROSS),which enhanced the early warning and management of risks in the insurance sector.The CIRC conducted special inspections on such businesses as universal insurance etc.to regulate the takeover acquisitions of listed companies with insurance funds and investment of insurance funds,and to guide the insurance industry to go back to its primary business of providing insurance services. 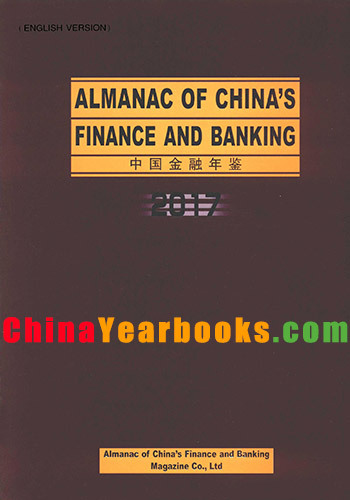 In 2016,the financial system fully implemented the requirements and decisions of the 18th National Congress of the Communist Party of China(CPC) and the Third,Fourth and Fifth Plenary Sessions of the 18th Central Committee of the CPC as well as the Central Economic Work Conference,adhered to the guideline of seeking progress while maintaining stability in economic management,and insisted on promoting the supply-side structural reform as a key priority,so as to enhance the efficiency and level in providing financial services for the real economy,and to promote a sound cycle and healthy development of the economy and the financial sector.The Almanac of China’s Finance and Banking faithfully recorded the course of reform and development of China’s financial industry in the past year,hoping that it will be beneficial to readers in reviewing the past and knowing better the present,and foreseeing the future by reviewing the past,and to continue to fulfill the tasks of financial work under the new situation,so as to welcome the successful convening of the 19th CPC Congress with an excellent scorecard!